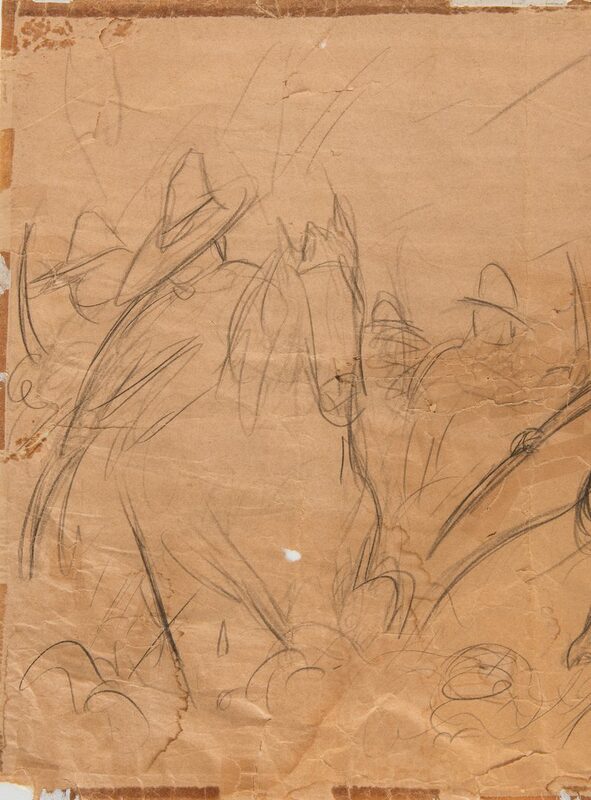 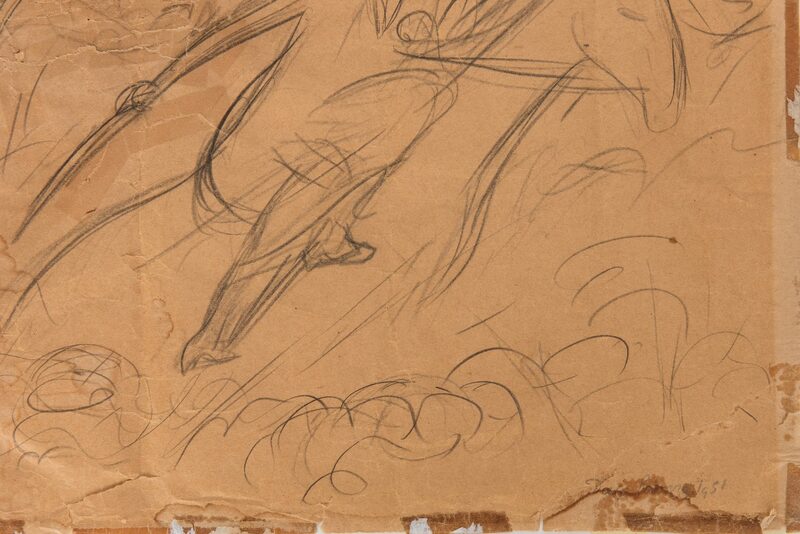 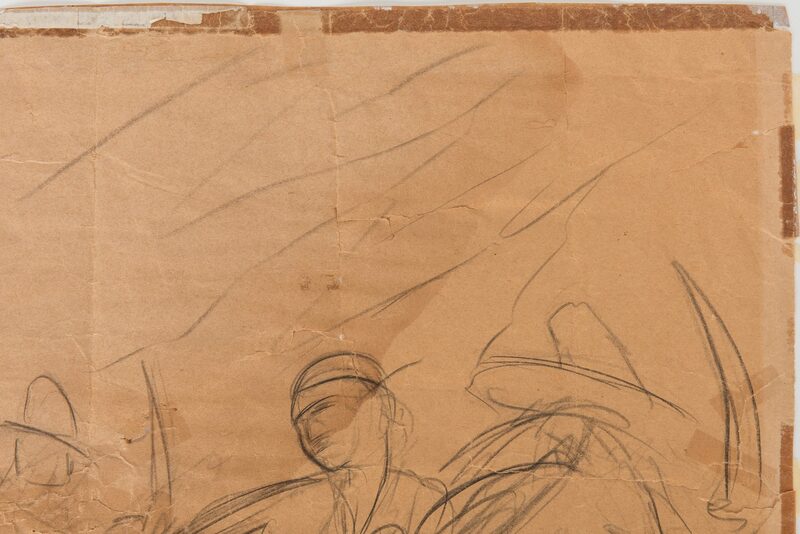 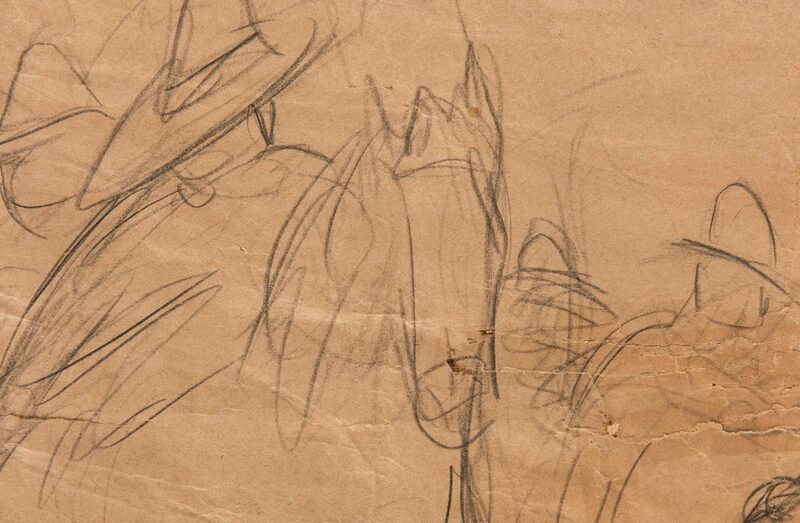 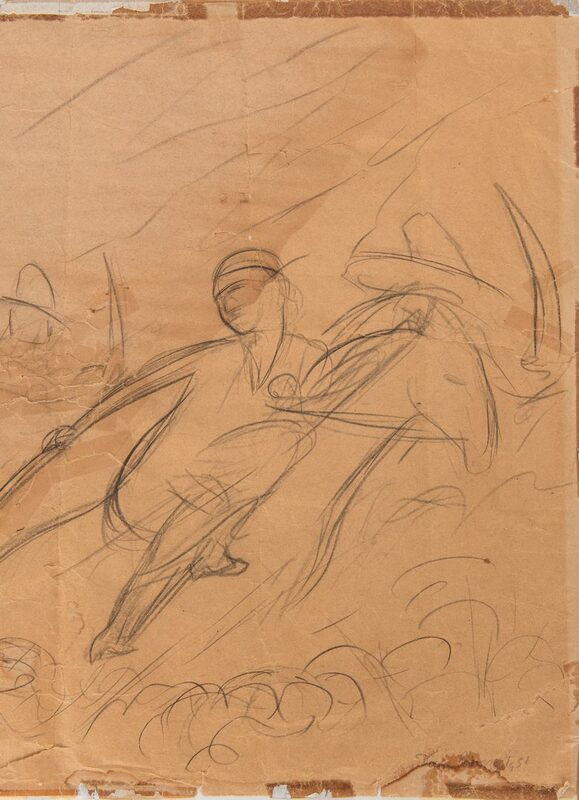 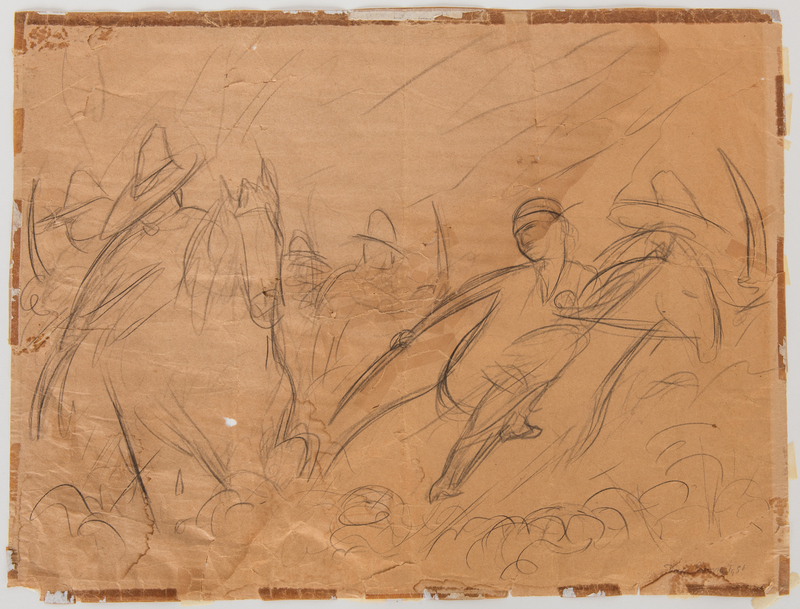 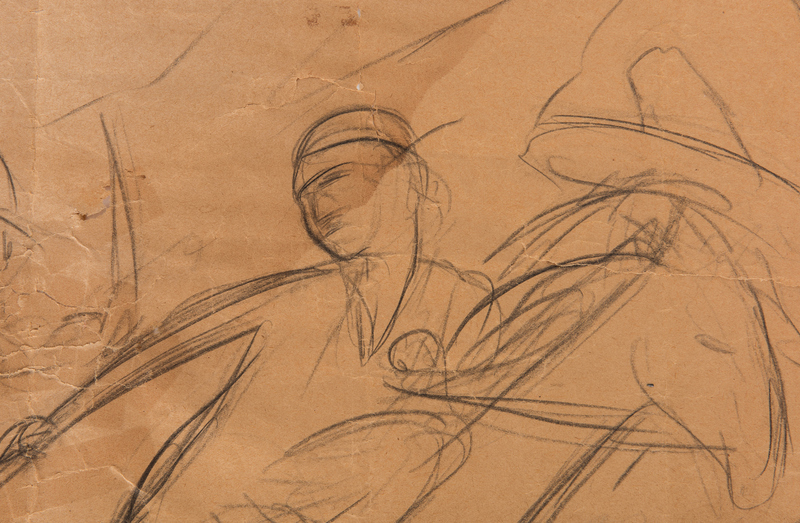 Diego Rivera (Mexican, active United States), 1886-1957) charcoal or chalk on wove paper sketch titled "Banditos", depicting figures on horseback, in motion. 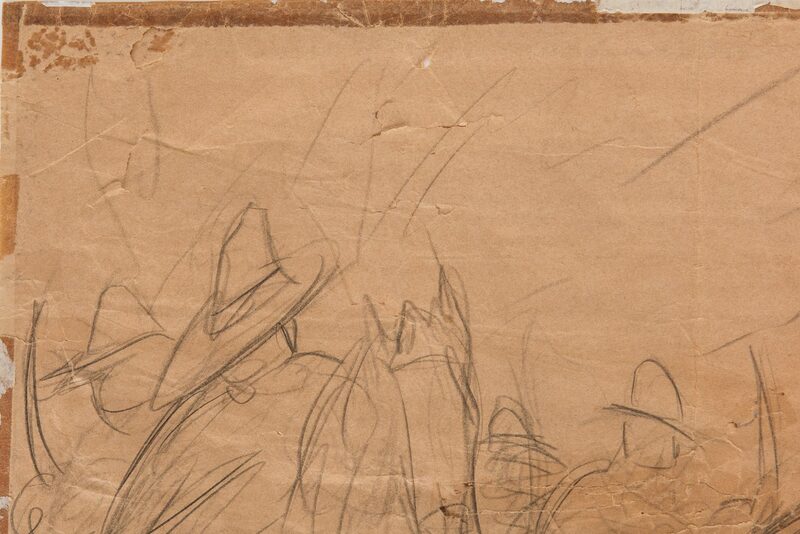 Graphite signature lower right. 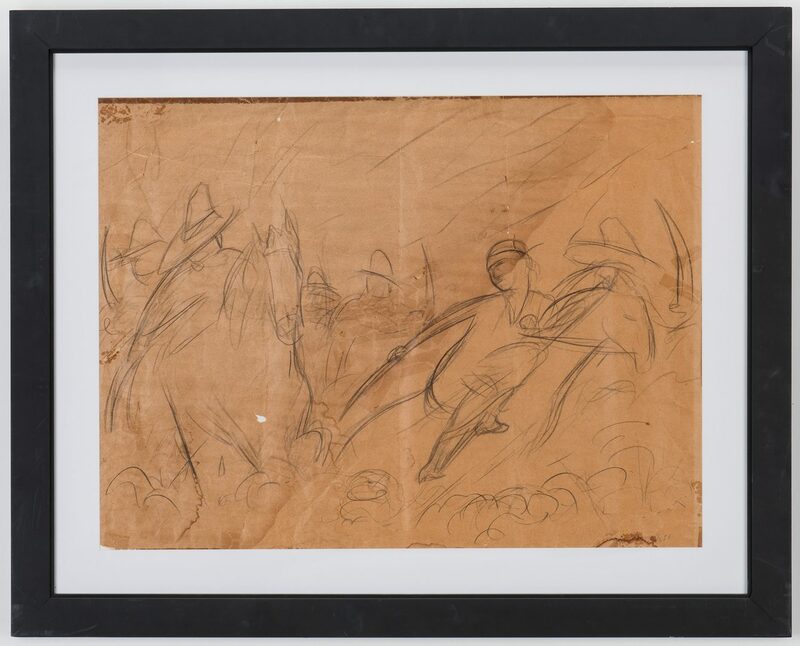 Hinge mounted in modern black frame. 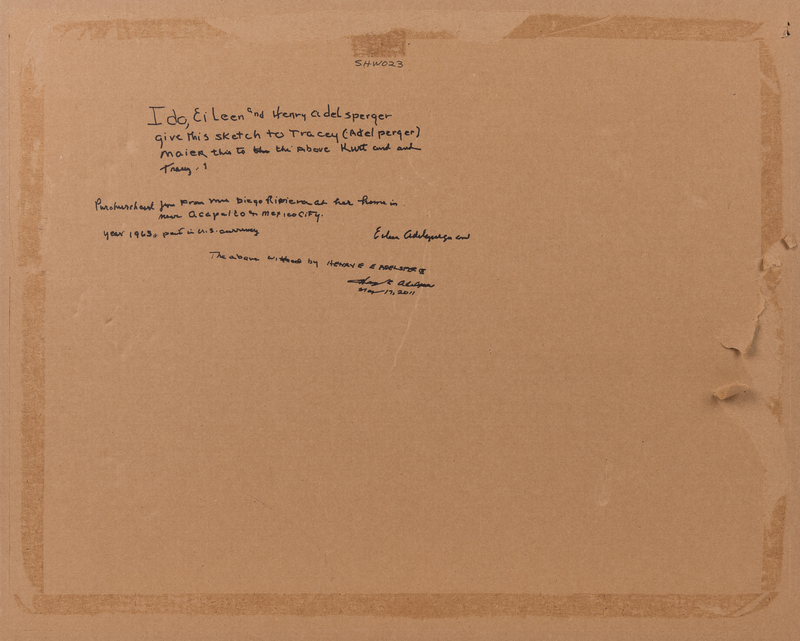 Sheet approximately 18 1/2" x 24 1/2". 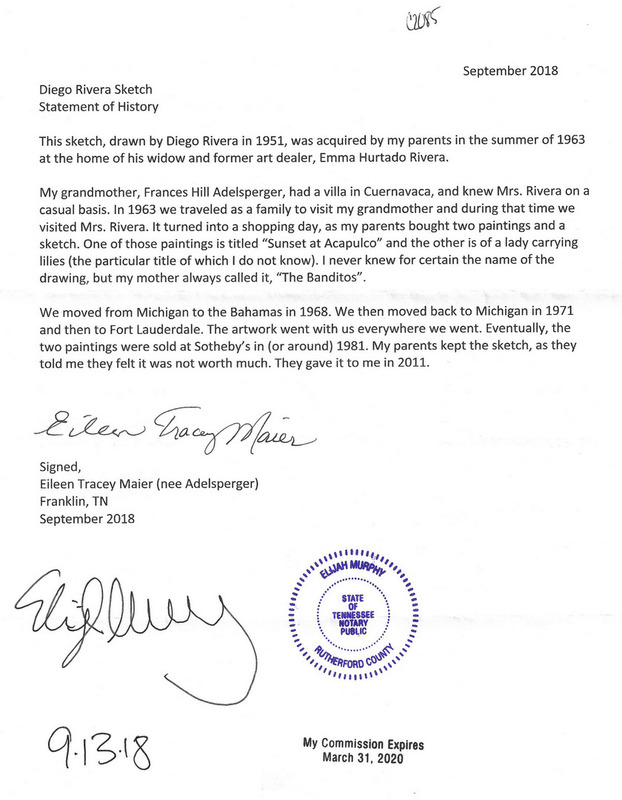 Frame 25" H x 31" W. Provenance: the collection of Eileen Adelsperger Maier, Franklin, TN, acquired by her parents in 1963 directly from Diego Rivera's widow and former art dealer, Emma Hurtado Rivera at her home in Cuernavaca, Mexico. By oral tradition, it was a study for a mural. 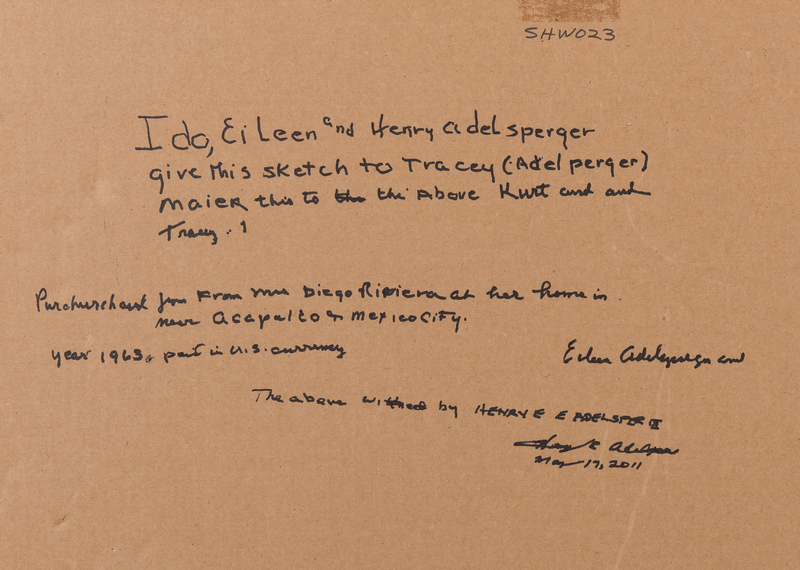 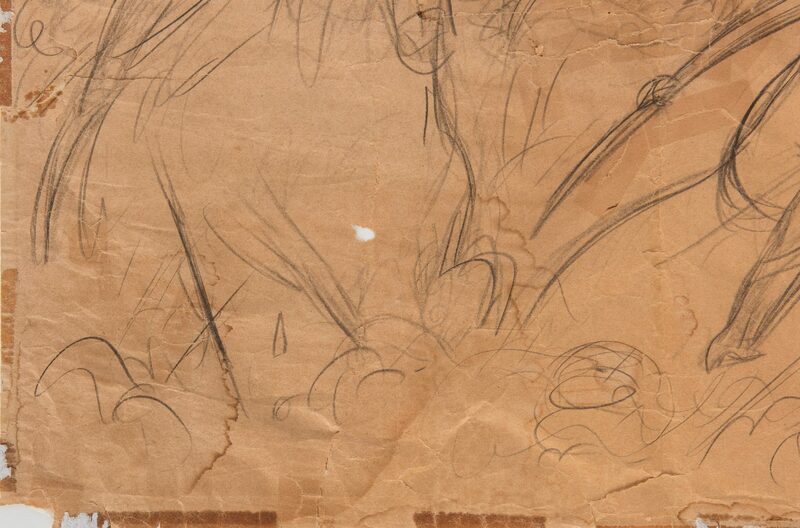 A signed affidavit from Ms. Maier detailing the acquisition of this sketch is included with this drawing. 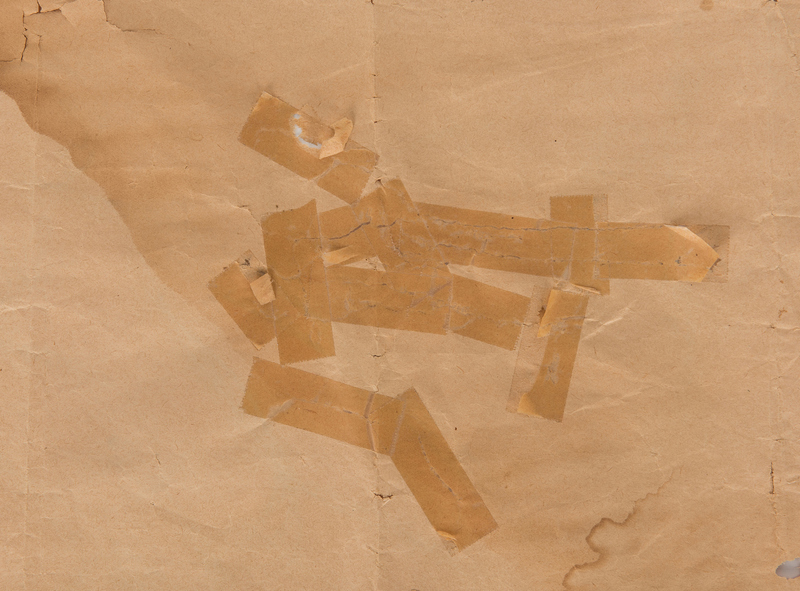 CONDITION: Poor condition. Lower right corner professionally re-attached. 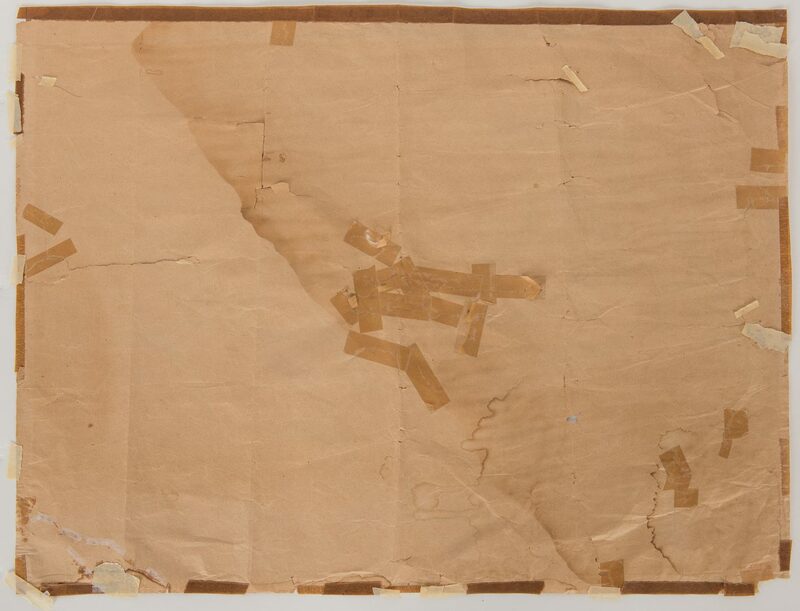 Refer to scan of condition report and treatment recommendation provided by Dawn Heller, paper conservator.